Most of the travelling in my adult life has been thanks to horses. I spent three summers working in Kentucky at three different Thoroughbred breeding farms and the Keeneland Sales. A plane flew me and a few other folks with forty one horses from Louisville, Kentucky to Dublin, Ireland to work on a stud farm for six months starting Thoroughbreds for racing. Then to the very small town of Amherst, South Dakota to work at an Angus cattle operation that also bred Quarter Horses and Miniature Horses. Another horse job pulled me south to Quarter Horse country in Whitesboro, Texas for almost four years. 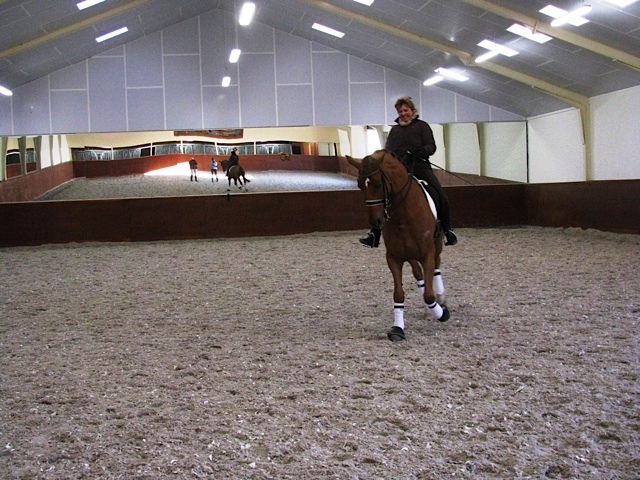 A friend invited me along to go horse shopping in Holland – How could I say no?! When people would ask me where and why I was going, the response was always, “don’t we have horses here?” Of course we do! The horse we were searching for was an upper level Dressage horse. While America has caught up in many ways with the European breeders of warmbloods, the pool of horses to look at, I learned, is much greater across the Atlantic. 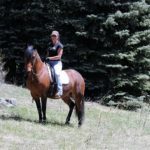 I realize I may have lost a few readers in that last sentence with the word “warmblood” – here is the definition: Warmbloods are a group of middle weight horses that originated primarily in Europe when draft type or “cold blood” horses (i.e. Percheron, Clydesdale) were crossed with light saddle horses or “hot bloods” (i.e. Thoroughbred, Arabian). Warmbloods excel in disciplines like Dressage, Jumping and Eventing. A couple trips within the United States resulted in only a couple horses to look at and nothing that was “the one”. So off to Holland where their specialty is the Dutch Warmblood. Horse shopping overseas is somewhat familiar to my friend, so we had connections and over thirty horses, in about ten different locations to look at across Holland, in just five days. The main horse broker that we were working with was very familiar with foreign buyers. She has a website full of pictures and videos of her own horses as well as any other horse she knows of that may fit her clientele. She has sold horses to some of the top Olympic riders and was entertaining clients from Russia, Spain and Denmark at the same time we were there. We arrived in Amsterdam in the morning, picked up our rental car and were met at the airport by one of our hosts. He handed us a list of about ten horses that we were to look at that day. 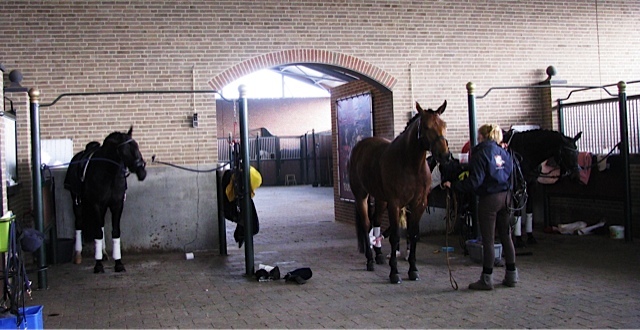 We followed him to the first stable, changed into our riding clothes in the bathroom, just in case we might hop on one, and I started my education of buying horses in Holland. 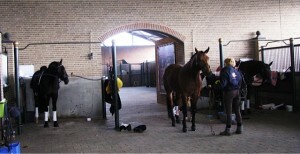 At each place, the horses were braided, groomed, warmed up and ready when we arrived. 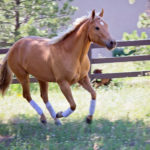 More prominent than I have seen before when looking at horses is that horses of a certain age are expected to be at a certain level of training and to have been to several shows with an expected level of success. There is not a lot of room for error when you are comparing so many horses in a short period of time. The horses that were not up to the level of their peers, were easy to pass over. For the most part, each horse we rode I could get a feel for all of their gaits, training and disposition. We did go to one barn that specialized in high volume auction sales. These lovely horses had the pedigree and looked fine going around with the auction riders, but once we rode them, the holes in their training were evident. In other words, they were held together by the riders to look good, but did not have the training to go with it. We also had the chance to stop by a Dressage show for an afternoon. It was a one day show and I was impressed with the number and level of riders. Shows around Holland are often and very high quality. Dressage is a national sport here with many fans of riders and non-riders alike. 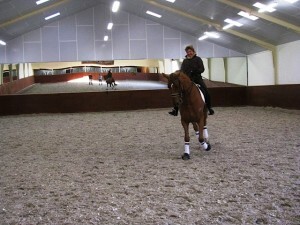 The top Dressage riders in Holland are celebrities like American football and basketball players. The many large shows draw thousands of spectators to a festival-like production. At this regional show, the riders comfort and familiarity with showing was evident as they casually showed up in time to warm up, ride their test, hung around for the awards and then headed home. From what we could see as we drove around Holland, horses are commonplace in backyards with a Dressage arena to go with them. Every now and then there was a jump or two, but the jumps were always accompanied by the Dressage letters around the perimeter of the arena. The countryside was strikingly clean and beautiful with rows of manicured trees and grassy fields. The pastures were divided up into smaller sections by ditches for rotational grazing with an odd gate here and there. Without seeing the ditches of water, the gates appeared to be serving little purpose. Each village we passed through consisted of lovely stone, brick or stucco homes and barns with wood accents. The yards were meticulously groomed and tended. We were fascinated by almost every window we passed having two of something – two plants, two vases, two flowers, two baskets and we couldn’t find an explanation from any of our Dutch hosts. And the horse trailers… Granted they don’t have the hills that we have, but I saw only fiberglass trailers, many of them one horse, pulled by a menagerie of economical small cars. I also renewed my love from Ireland of the horse lorry – truck and trailer all in one. We even toured some lorry’s with living quarters. Someday! The Dutch were friendly, brilliant hosts and I decided to put my phrasebook away because they spoke such excellent English. 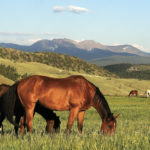 As an added bonus, I sat next to an outdoor gear designer on the plane who was designing a new horse blanket that is more fitted, comfortable and horse friendly – Look for this innovative new blanket design – you will know it when you see it! Heather McWilliams © 2013.